Imagine… if you had written a BOOK when you were a kid. 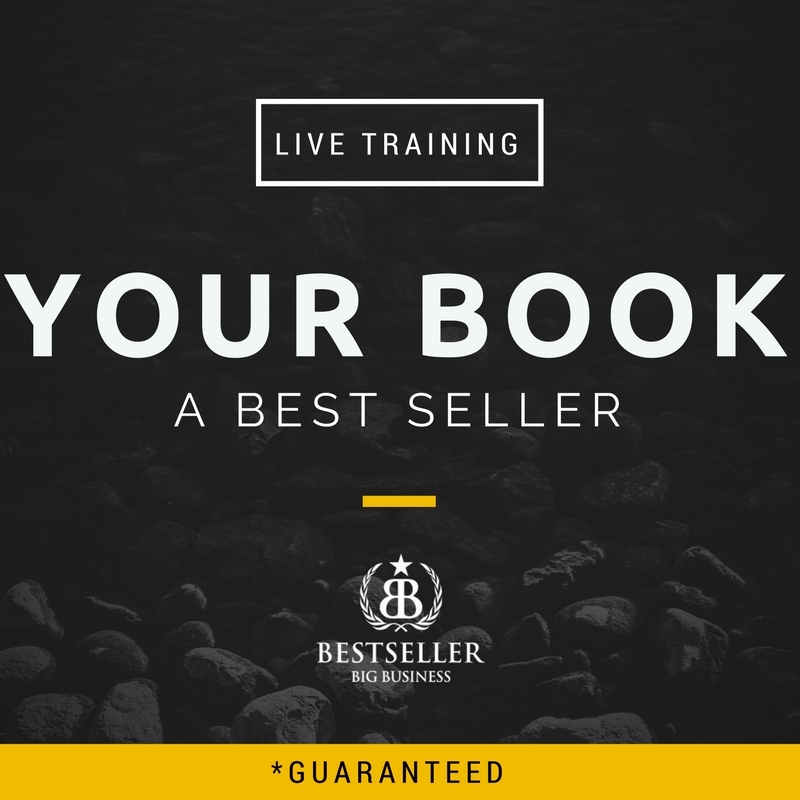 And it was PUBLISHED… And it became a #1 BESTSELLER… how would that have changed your beliefs about what was possible? My daughter and I are about to teach a VIRTUAL BOOK WRITING – WORKSHOP. 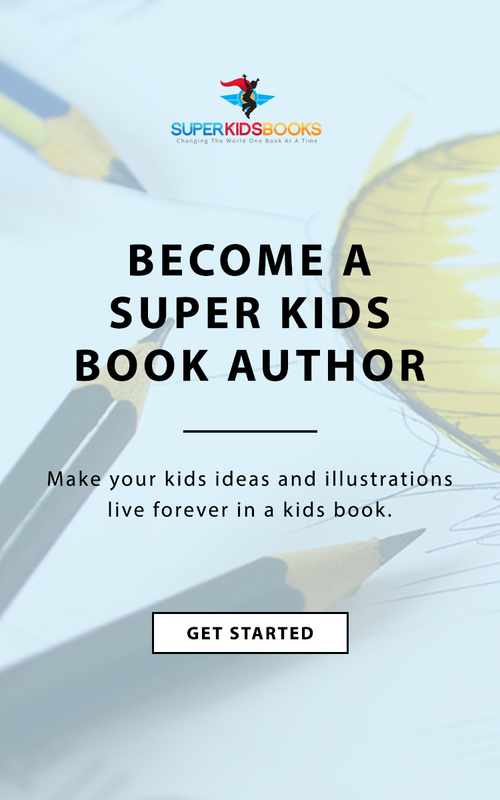 Introduce someone you know to superkidsbooks.com. Today, I talk about how YOU CAN WRITE A SUPER KIDS BOOK. 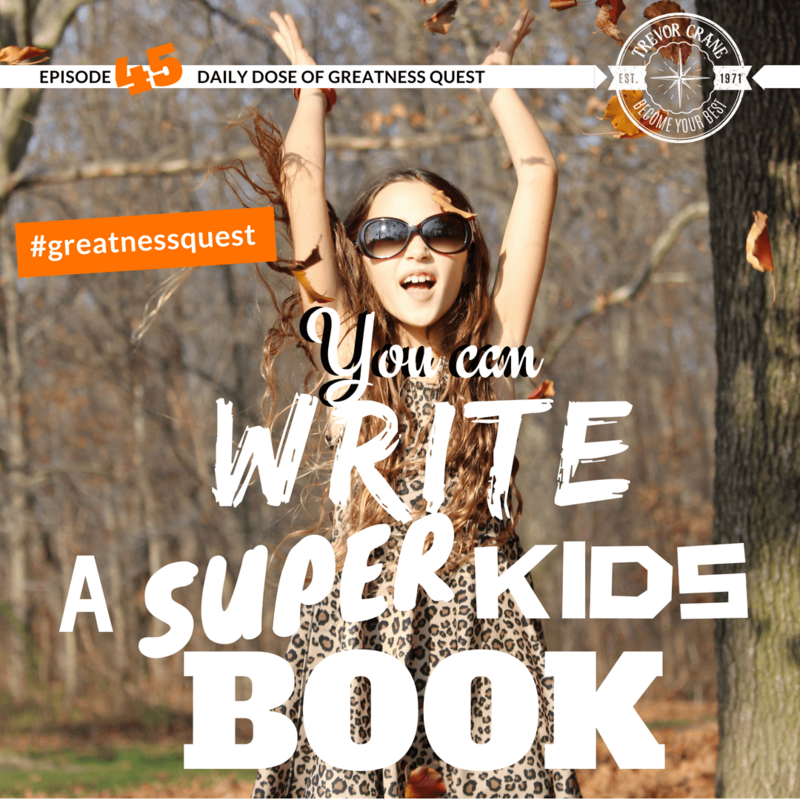 Or how your kids can write a super kids book. Anybody can write a book, even kids. Because everybody has a story or a message to tell. And your story or your message can make a difference in someone’s life. Step #1: Have a mindset that YOU CAN DO IT. Step #2: Get a MENTOR to teach you how to make a great story. Step #3: Plan out a STORYBOARD. 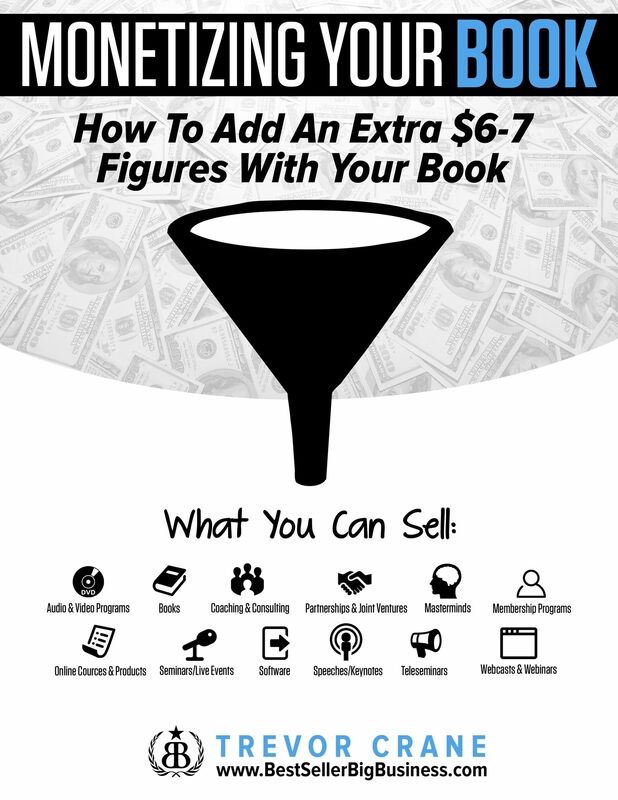 I’m not sure if you knew this or not, but you can become an author. And if you want to write a kids book or you want your kids to write kids books, you’re going to love today’s show. Because I’m going to talk to you about how you can become a super kids book author. Now my daughter just turned 11 years old. And she and I are planning to teach her, all of 5th grade kids in her class. And she’s got almost 40 kids in a class. We’re going to teach a workshop about how the kids can write kids books. Because my daughter being 11 has 10 number one best-selling books. Justin wrote her first book when she was 7 years old and became a number one best-selling author on her 8th birthday. And then we’ve done several books, that’s 10 of ‘em, that we had created. And the reason why I asked my daughter to write a book and why you might want to have your kids write a book or maybe this is something that you want to do yourself and get a kids book out there. Well, it’s multi-fold. One of the things that I have been preaching for quite some time the power of books. And about how everybody should write a book. And your message matters. So I believe that it’s your responsibility to learn how to tell your story in such a way that it makes a difference in other people’s lives. There is no better way to do that, in my opinion, than putting it into a book and publishing it. Because the authority and positioning and credibility you get when you do that is BEYOND BENEFICIAL to you. 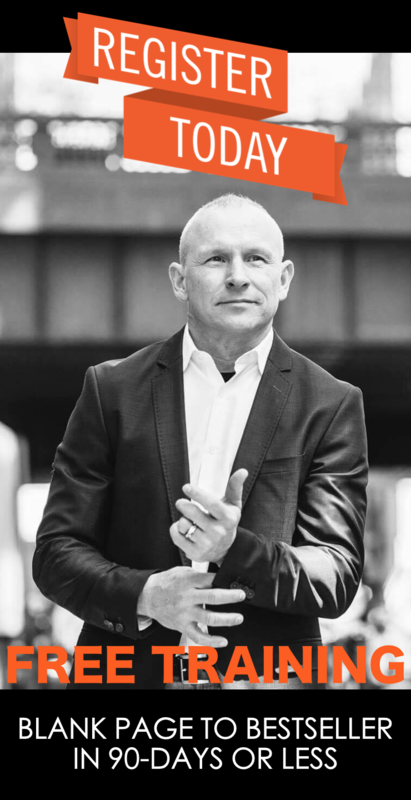 I just can’t describe how frickin amazing is it for your business, your personal brand, your how you want to make a difference in the world that’s amazing. And I believe it so much because it’s not just the book. And a lot of people get confused about this. They think the book is the end all be all especially people that might want to read a kids book here. So I want you to pay attention. Because the book is the beginning. The book is just the foundation. It’s the first floor. It’s the first step in a pyramid. And that’s not, nobody goes to see the pyramids in Egypt and all they do is look at the first block. But your house can’t be built on a shoddy foundation. And neither can your book, your business, your brand, your mission and your message. It needs a phenomenal foundation with this powerful book but it’s not effective. It is to a certain degree. 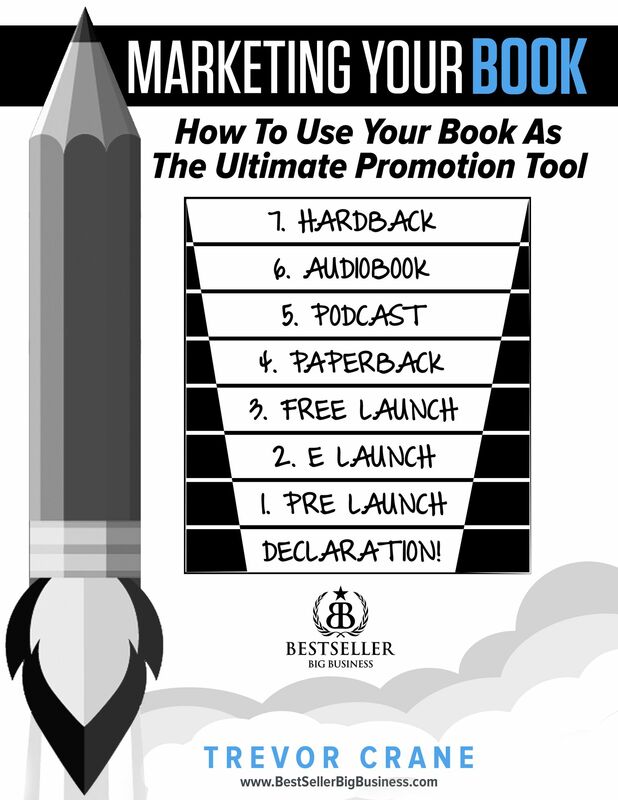 You can use the book as a lead magnet to get people’s attention. But you’ve got to have a vision and a mission beyond your book, even if you’re looking at a kids book. Because a kids book in and of itself appeals to what? Like a couple of kids? And I don’t know what age group you’re looking at. My daughter has written a book for our baby boy who, that’s her 10th book, was a book for her baby brother. And it’s a book about my daughter wanting to avoid changing poopy diapers. And that’s as far as it goes. Who cares about the book? My daughter thinks it’s cute. You might think it’s cute. Maybe you’ll go buy it. And if you do go buy her book, you should look her up on Amazon. You gotta look on Amazon and search my daughter’s name. It’s Phoenix Rose Crane and you can see all of her books on there. And they’re amazing. Every one of her books is awesome, but that is not her business. That is not, that there is a vision beyond the books. And when she was 7 years old, she didn’t know it. And most oftentimes, my clients don’t know what their book and vision is, and mission is beyond their books. They get caught up. And I wrote a book about a cute dog. I wrote a book about my life. I wrote a book about my thing. And in the context of making sure that your vision and mission is bigger than your book. Like this is really important. And so, I wanted to talk to you today about like how to write a super kids book. I’m going to go into some of the strategies, but I just want to share with you that even with my daughter’s vision for the book, we created a monetization plan, a mission bigger than her book. 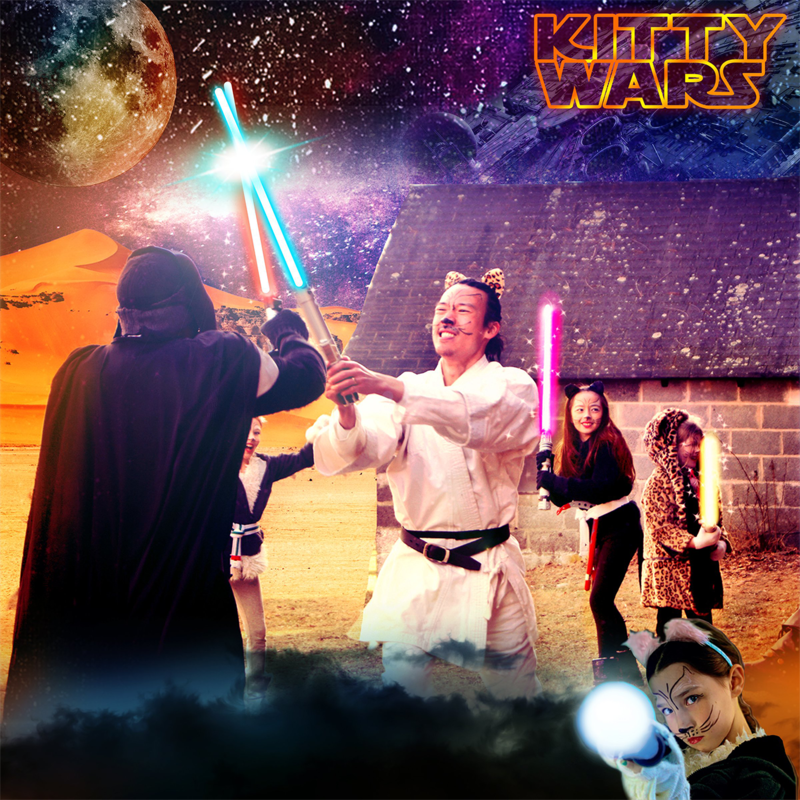 When my daughter was 7 years old, what she was passionate about at the time was ninja kitties. My daughter has 3 cats and she’s living in her mom’s house. She loves those cats and she wanted to tell a story about what she cares about. I wanted to prove that anybody and everybody should write a book, even little kids. And I wanted to prove that there is a business behind a book, no matter what you’re into or passionate about. So as much as I wanted my daughter to write about this and write about that. And I thought they might be really cool ideas. She didn’t like any of them. Instead she wanted to write a book what she, about what she was passionate about. My job as her editor and as her publisher and as her marketing partner, which I can be all of those things for you, by the way, was to help her expand the vision of her book beyond the book. See what we realized when I help my daughter realized and I asked a lot of questions. And we came up with a way that people to go ahead and invest in something more than a book. Because my daughter and I were good at telling stories. And she did, not just one book but then the second book and the third book and so forth. We decided that we would teach others how to write books. And then she has a bigger mission. She now has, initially she set a goal to help 100 kids become kids book authors. And then she created the goal to create 1000 kids book authors. And then we created a business where people can buy her course and her workshop. And we have a membership club that people can join and will just help kids write their books. And then we have a scholarship that will then give people the gift. And like, we’ll pick a kid, we take a kid every month and we haven’t done this yet. We’re just launching this program where every month, we pick a new kid that we will publish their book for them. They get to write to it to get her course but if they’re in our monthly membership club in our super kids book club, then they will go ahead and get a chance to qualify for scholarship or just publish their book. And in our workshop that my daughter and I now teach kids to publish books and adults as well. As kind of adults are also holding the reins and making sure that the project like this gets done. People will join our workshop and those are physically or virtual they can just plug in online. And then we teach people by actually working with the kids and we write a book and then we publish it. And all of the kids that are part of the workshop now become co-authors of this book. So for example, my daughter’s 5th grade class are all going to publish this book with her. And we’re going to have 38 new contributing kids book authors that are going to contribute to this new book. We are gonna write live in the classroom inside of 90 minutes. I’m going to get this separately done. We’re going to publish it because I understand the marketing behind this book. I’m going to drive it to be a number one best- selling book. And we’re gonna have another 30+ new kids book authors that contributed to this collaborative project. But in our super kids book club, our publishing company for this project is called Super Kids Books Publishing. Go to superkidsbooks.com to check that out. And you can find out more details about the workshop and follow me and sending a message on any kind of social media channel. Just find me and say you want to find out about it. And I’ll invite you to a workshop. We have a discount on anybody joining. And we’ll help your kid become an author. But we also give them the chance to join our course and then publish them every single month. And maybe to join more workshops. That’s kind of me selling you on that, if you want to be any part of it. But let’s jump down how to get this done. Because I’m so proud of my daughter. Last night we were reading one of her books. And she wants us to read to her every night. We take turns. Even my wife and my daughter or I will read as she goes to bed every night. And there is just nothing like reading the book that your kid created. I just can’t tell you how amazing it is. My daughter burst into tears when she held her first book in her hands. The book that she wrote. A book that she did. And she was just, she was really moved. I want to give you that gift because you have the opportunity to do it. But we have basically broken our whole kids book writing program into 3 pieces. The first piece real briefly is all mindset that you can do it. And we talk about that a little bit in my course, in my program and what we do with the kids and we prove it to them. And then the second thing that we do. This is so high highbrow like this is just a really big overarching view of how to get this done. But it’s really important because you don’t have to overcomplicate this. You then teach the kids how to write a great story which is number 2. And my daughter now teaches this course which is so friggin cool. And we teach them how to write a great story. And I’ll give you some of the tips here really simple guys. Every great story has a beginning, a middle, and an excuse me a bit, beginning, a middle, and an end. It would also has a great story, has a twist or a challenge. Some kind of challenge that the people in the story need to overcome. And so the other parts of the book when we’re helping people do this in a workshop is we have to decide WHO is the book gonna be about. Is it going to be about unicorns or mermaids or ninja kitties? What’s it gonna be, who’s gonna be in it? WHAT is it going to be about? So we need to decide what the project is. Like what is it going to be. And we source this with our group in the, when we do our workshops and then our course. And then WHERE is it going to take place? Because they’re gonna write a book. Is it going to take place on Mars? Is it gonna be in a kitchen? Is it gonna be in the sewer? Is it going to be at the circus. You just need to decide. And these core decisions kind of frame the entire story. And then one of the ways that we help them write it really fast, I guess. And this is kind of part of tip number 2, but I’m just gonna include this number 3 to keep things really simple is we plan out a storyboard. We basically put a whole bunch of just one piece of paper or one large piece of paper up on a board. And then we basically make a huge Tic Tac Toe board with about 9 or 16 or 20 squares, whatever it is. Just kind of split it up with some dividers, and then we plan out the beginning, the middle and the end. And then the kids, when we plan out all of the little story for each page, we kind of know the beginning, the middle and the end, the twist, the fun things. You know who’s in it. We know what it’s about. We know, we plan where it’s going to be. And then we just have the kids tell the story. Just check this out, my daughter told her first story of the Three Ninja Kitties into my cell phone. She was playing around just run around the house. I got her to sit down on the couch and she wouldn’t sit still. So she ended up hanging out upside down. And she just as kids are they’re so creative. She just told the story and I recorded it into my phone. And then I basically hint and helped her figure out how to get that transcribed. And I showed her the process about how to do that and I had her go through the hiring process and pick someone. Then we had someone helped write it so that it made sense and fill in the gaps and I teach that as well. And then we just had some artwork done. My daughter is actually a really good artist. And she did all the artwork for it. And then I hired an artist to make her artwork even better. And this is not cheating. This is you helping, like nobody writes a book alone, not a great book. JK Rowling doesn’t do it. Stephen King doesn’t do it that way. They use a team of people to help and edit and work on the book. See people don’t know necessarily how easy this can be. But I want to also point out that a part of my daughter getting this book done captures her imagination forever. Unfortunately, about a year after my daughter’s first book came out, one of her ninja kitties, her real kitty died, got hit by a car. And my daughter was really upset about it. But now we talk about it in the book we wrote called You Can Write a Superkids Book. We frame the whole program on how do you get a book written. And we walk people through it step by step. If you can get that book and read it, that’s what the book we’re reading last night. It’s an amazing book like I’m so proud of this thing. It’s so easy as paint by numbers simple step by step. It’s an amazing book, I don’t know, we don’t really do much marketing for it. I’ve been waiting on my daughter to get excited about it. But in that book, I interviewed my daughter. And I’m talking to her about how powerful it is. And how much joy she gets that this her kitty patches gets to live on forever in the stories that she told about her, about this kitty in the adventure. And then that at any rate there’s a lot of reasons why you should get a book done. So my daily question is, you know, who do you know who might want to write a kids book? Do you know a kid that wants to do it? 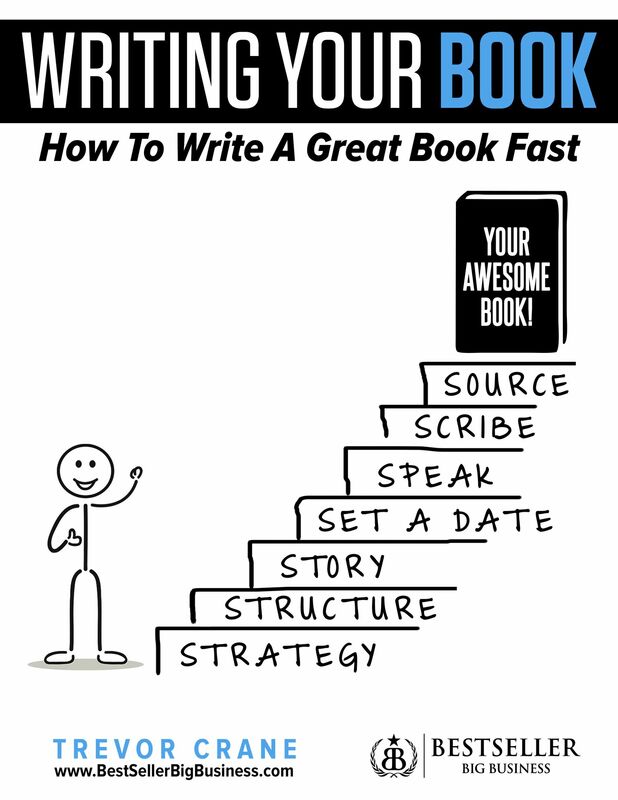 Or do you have a friend or family member that wants to write a book? If you do, that’s my challenge for you, to introduce them to superkidsbooks.com. Go check that out. We’ve got a lot of free resources on there to help you. And if you’d like to join one of our workshops, we have a discount. We typically offer for the first workshop that you do with us to cost you almost nothing. And we’ll actually show you how to do this by doing it with you. And basically, you can write a super kids book. And we believe that kids are going to change the world. But the next generation is going to be the best generation. The one that has the biggest impact on our planet in a positive way than we’ve ever seen. 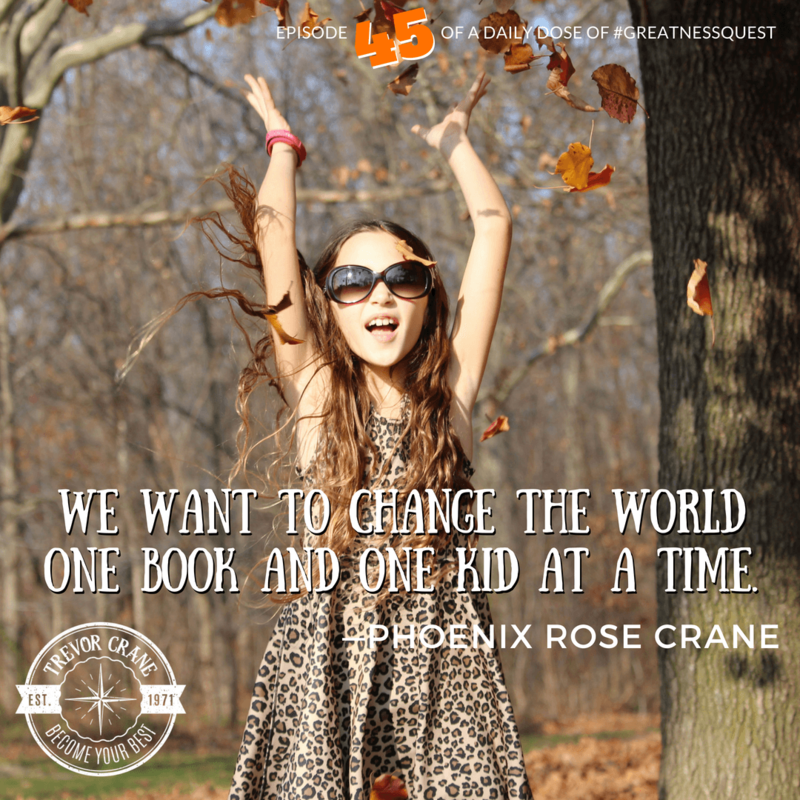 And we want to change the world one book and one kid at a time. We believe we can do it. We’d love to have your help. And so with that, I want to wish you a great day. 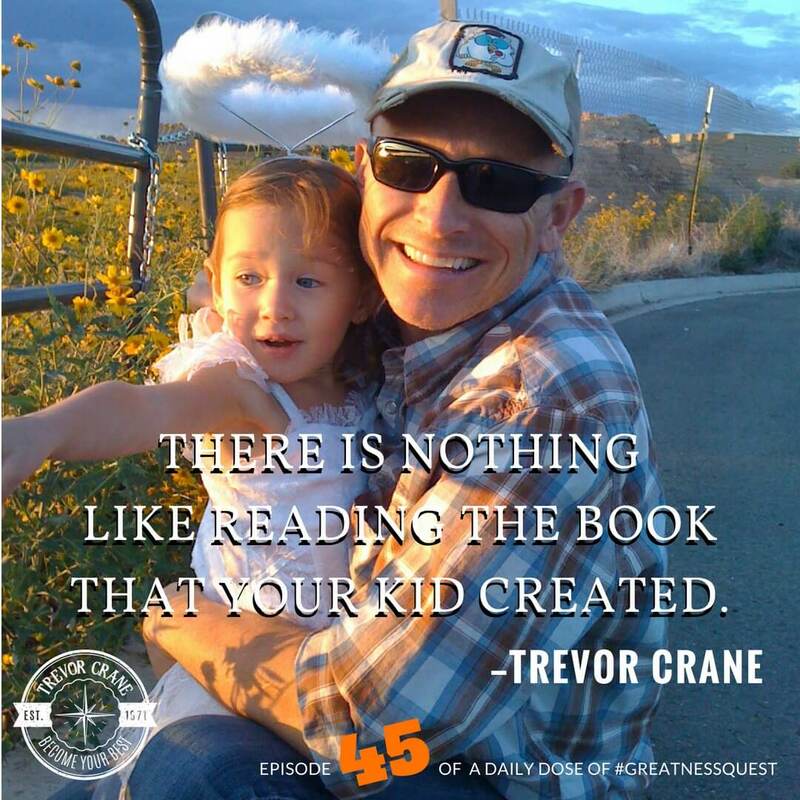 And I’ll go ahead and see you tomorrow on another daily dose of greatness quest.